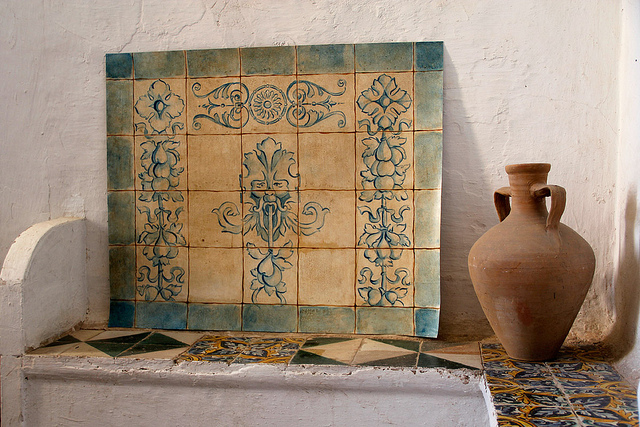 I first heard of The Royal Design Studio when I lived in San Diego. I was taking Fine Art Classes at UCSD; however was told that a studio in Chula Vista was offering classes in Faux Painting techniques.Sign me up! The owner, Melanie made the classes so much fun and was extremely helpful. 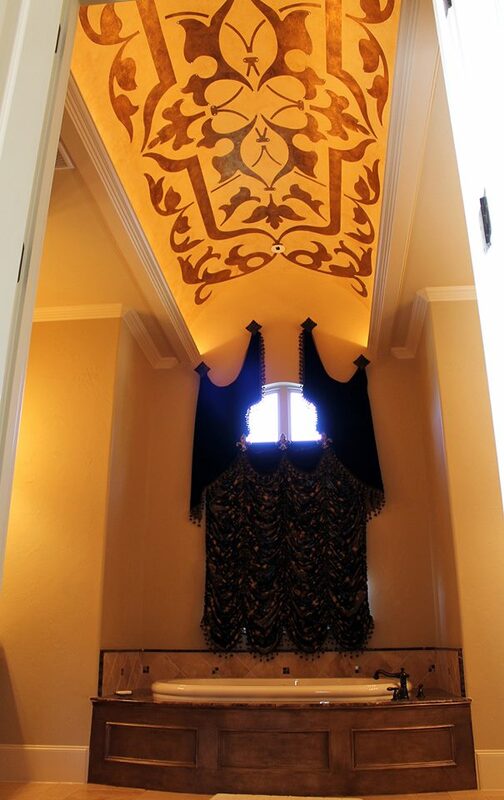 We learned gilding, marbling, glazing, texturing, faux bois, and many uses of stencils with gorgeous results.
. Another project was a Trompe l'oeil Ionic Column with an Urn atop. 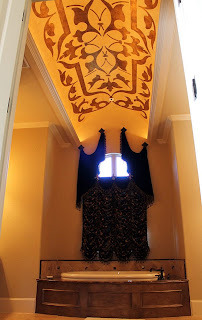 In a Master Bath without a window I completed an iron window with a curved top. The sky with clouds could be seen through the iron "panes" I always surprised myself with the realism achieved! 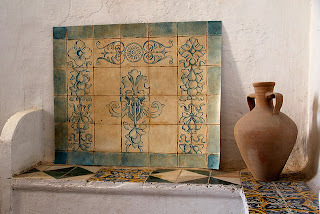 The Olde World look of Intricate Tile-work! 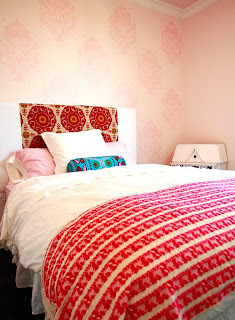 Royal Design Studio has an amazing Blog of inspirational ideas; Design Amour is a source you will love! 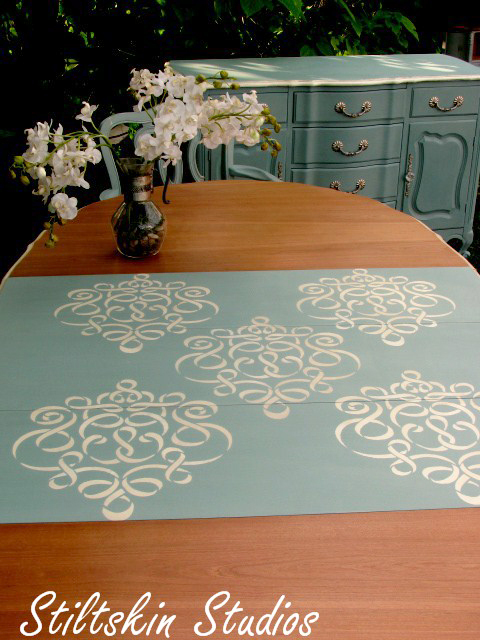 For all of us Annie Sloan Chalk Paint fans here is a project completed on a lovely chest with a Royal Design Stencil on the table leaves only in Duck Egg Blue! Chinoiserrie Lovers not to be left out! Melanie has mentioned that she loves the look of a hand painted wallpaper at much less cost. 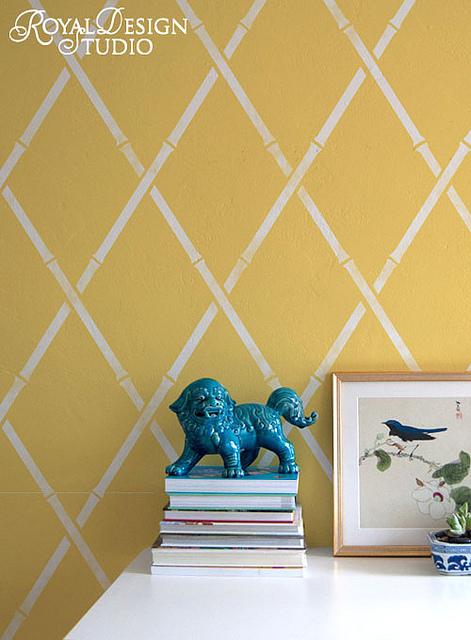 There are Chinoiserie florals as well. 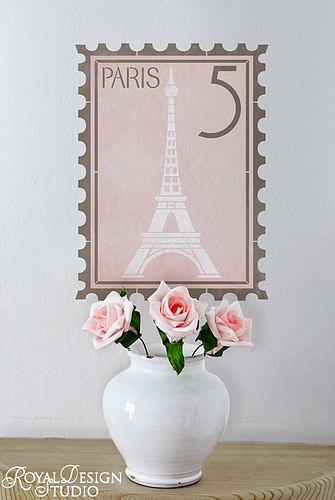 Lovers of all things Paris take heed! 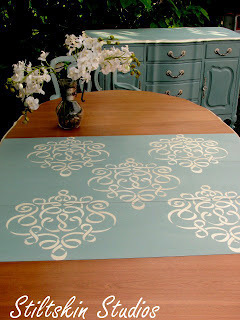 Royal Design Studio is offering a $50 gift certificate toward a stencil of the winners choice. 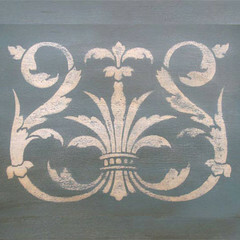 1) Visit Royal Design Studio, and select a stencil you would like to use for a project. 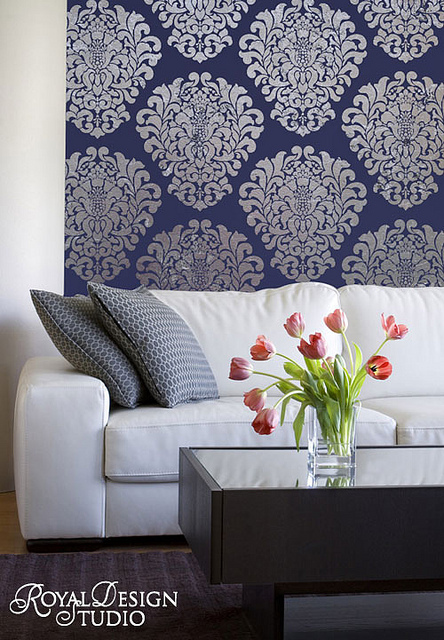 Return and tell us about which stencil you would like and how you would use it! 4) A Fourth entry by Following their company’s Pinterest page and sharing Your favorites on your own social networks. Again the winner can spend up to $50 towards whatever stencil (s) you love! The winner will be chosen on July 30th ! Thank you so much To all of my friends and followers; your comments mean the world to me! A special note of appreciation to Anna of Lona de Anna for the five most gorgeous land and seascape prints! Happy Independance Day to All! Wishing all of my American Friends and Followers a wonderful day of celebration! Special thanks and remembrance to all who have served and fought for the freedoms we have today!